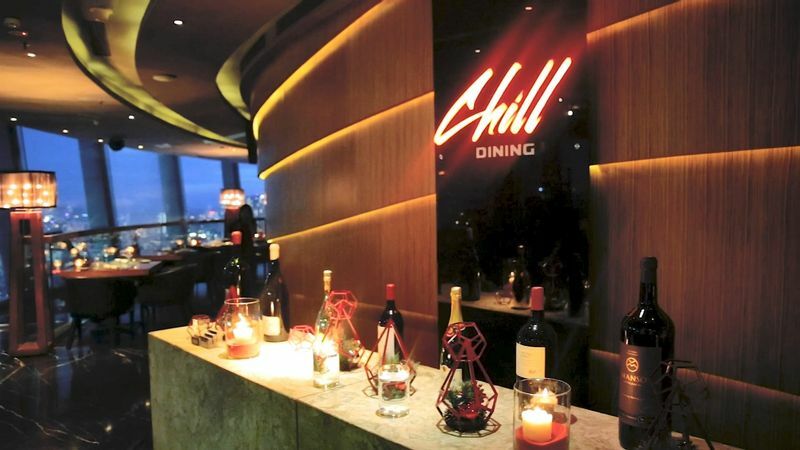 Chill is located adjacent to the New World Hotel. Situated exclusively on the 26th floors guests have unobstructed and paranomic views of the beautiful city. Chill is notably the first and the original rooftop “Skybar” concept in Vietnam. Chill comprises of a large open air terrace with a circular feature bar, indoor lounge both offering separated music room with international resident DJ’s spinning nightly. The Skybar and lounge offer VIP tables, VIP room, and high table. The Chill dining features small and big plates menu that offer a social sharing dining experiences complete with semi-private and sofa eating. Established in October 2011 Chill Skybar Dining was designed by the world famous DWP Thailand and has quickly been recognized internationally. Chill Skybar – Dining is one of the few night life venues throughout the world to offer high energy club experience in a completely open air Skybar as well as Chill out lounge areas and world class cocktail, wine, and bottle service.